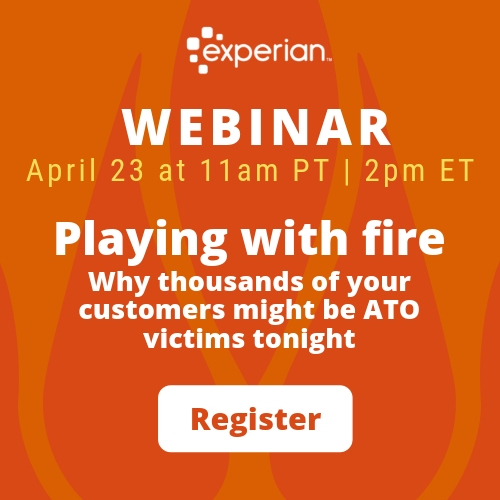 In our previous post, we talked about Experian’s 2018 Attribution Study. This study is a wide-ranging, dealer-focused sales-driven attribution study to answer the question of what drives sales. Three takeaways were formed and the first was looking at shopper behavior instead of isolated KPIs. Now, we look at the second and third takeaways. Paid search is an important part of dealership marketing and precise targeting will help with both traffic and purchasing rate. Branded search drives quality traffic to websites. 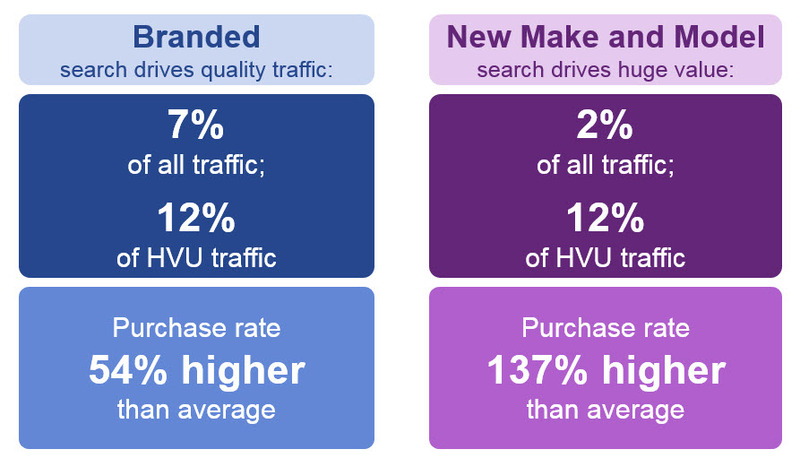 7% of all traffic and 12% of HVU traffic comes from branded search. Along with traffic, the purchase rate was found to be 54% higher than average. In terms of value, New Make and Model has impressive results. 2% of all traffic and 12% of HVU traffic comes from New Make and Model. The purchase rate is 137% higher than average. Of note, we found that in order to optimize paid search to drive sales, you must buy your own name. 100% of dealers studied had buyers via branded search. With that, optimized “New Make Model” campaigns are crucial. 82% of dealers had buyers come through Make Model keywords. Traditionally, New Make Model would just create a higher funnel but since we are in the digital age, this does not happen anymore. Some participating dealers spent <20% of search budget on New Make Model campaigns. A key point is that no dealer had buyers come through via competitors’ keywords. As for a dealer’s website, display leasing offers and content for buyers since many search queries contained lease keywords. Although paid search is important, there are other channels to optimize and segmentation is key. This study found that conquesting with bulk email-blasts is not effective. You can achieve better email marketing results by targeting shoppers more intelligently and using quality lists. CRM-driven loyalty campaigns performed well in this segment. Display campaigns revealed that social media is no longer just for posting content but paid social advertising campaigns were effective. In fact, this study found Facebook display to be more effective than Google and other display networks. The reason is it is easier to segment and target a specific audience through Facebook. Google is more difficult to segment and has too many set-it-and-forget-it campaigns. This brings us to third-parties, such as Automotive Shopping Portals and other lead providers. Performance with third-parties can vary and dealers should evaluate third-party performance as it relates to your sales. 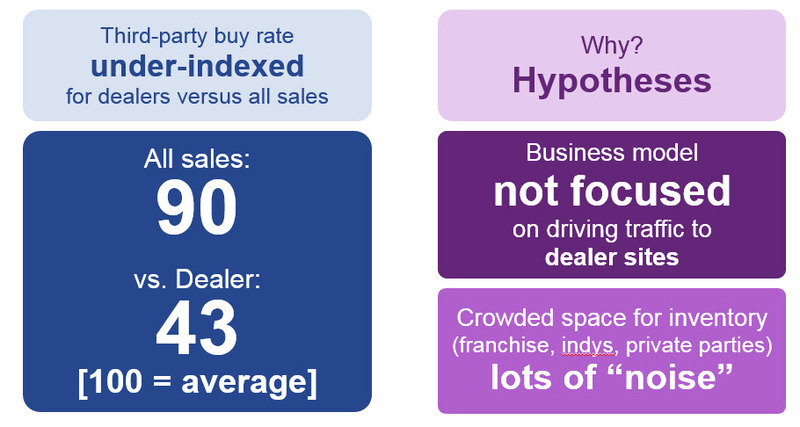 The third-party buy rate was under-indexed for dealers versus all sales. 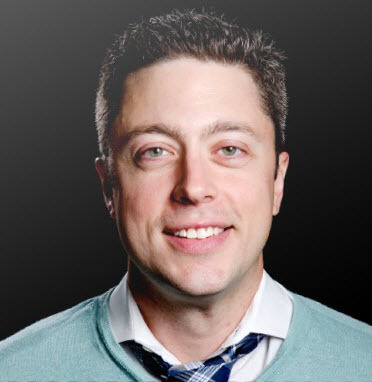 The business model for third-parties is not focused on driving traffic to dealer sites. Since there are so many vehicles listed on third-party sites from franchises, independent dealers, and private parties, there is a lot of “noise” for customers to sift through. For dealers, finding out what drives sales has led to Experian’s 2018 Attribution. Our wide-ranging, dealer focused sales-driven attribution study focused on key variables and delivers three recommendations: Focus on website shopper behavioral metrics to drive sales. optimize paid search, specifically branded search and new make model campaigns. and evaluate third-party performance as it relates to your sales. With these, a dealer can be more confidant with their marketing and their data.